Looking for a new ride or a tuneup before you hit the trails, streets, or singletrack? As one of the more bicycle-friendly places in the country (in 2015, Minneapolis was the only U.S. city on a list of the World’s Most Bicycle-Friendly Cities), Minnesota has a fair share of good bike shops. But some have a little something extra that sets them apart. Here are nine standouts. The hippest bike shop in hipster-centric Nordeast is Behind Bars. A top-notch service facility that offers lessons and hands-on deomnstrations, Behind Bars is a great place to take your two-wheeler for a tune-up. They also sell bikes and publish a regular blog on their website offering tips, advice, and the occasional discount on services and equipment. Cyclists in Duluth-Superior have flocked to Twin Ports Cyclery for years. One of the most venerable bike shops in the region, Twin Ports Cyclery has a knowledgeable sales and repairs staff with deep roots in the sport. In addition to selling and fixing bikes and gear, the shop also sponsors events, such as a Vintage Bike Show, on a regular basis. Cycles for Change is a nonprofit organization dedicated to giving everyone access to a bike. In addition to sales and service, Cycles for Change offers repair classes, riding lessons, youth volunteer opportunities, and a bike (along with a helmet, light, and lock) grant program for folks who can’t afford their own set of wheels. With a location near some of the best trails in the state, Fireweed Bike Cooperative (fka Superior North Outdoor Center) is the place to go to outfit for singletrack. 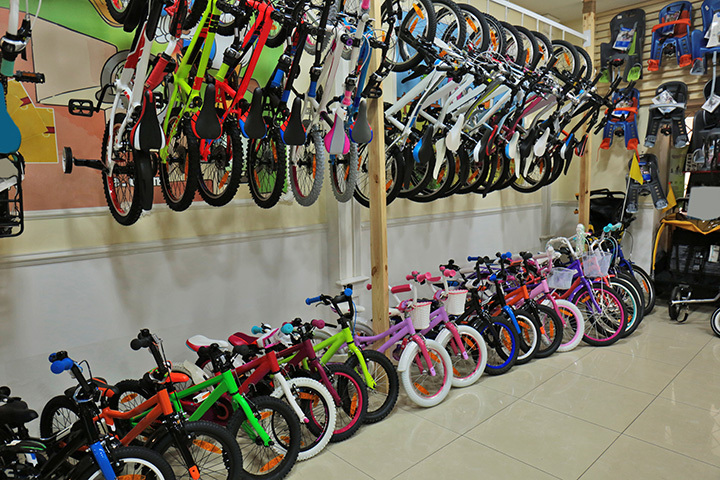 The shop sells new and used bikes, as well as gear. It also offers rentals and service. Area cyclists have long known the shop as Superior North Outdoor Center, but after a change in ownership, the name changed to Fireweed Bike Cooperative. Freewheel Bike is one of the oldest bike repair cooperatives in the city, and its Midtown location puts it right on the Greenway, which is the best urban bike trail in Minnesota. Sales, lessons, and do-it-yourself or expert service make Freewheel the go-to bike shop for cyclists in South Minneapolis. Why settle for just a bike shop, when you can have an espresso, glass of wine, or a craft beer with a meal, too? At Chilkoot Café and Cyclery, you can have it all. Not only does the full-service café serve breakfast, lunch, and dinner, the shop services and sells bikes, gear, and equipment. The bike shop also offers bike fitting, as well as coaching and training for cyclists. Key City Bike is an organization that repairs and refurbishes used bikes and then gets them into the hands of folks who can use them. You can use their shop and tools to learn how to do your own bike repairs and tune-ups. And that’s empowering. Now located in new digs at the restored, historic Union Depot, Lowertown Bike Shop is run by a group of dedicated cycling enthusiasts. In addition to sales and service—including used parts and components—Lowertown Bike Shop also offers secure storage for a low monthly fee.